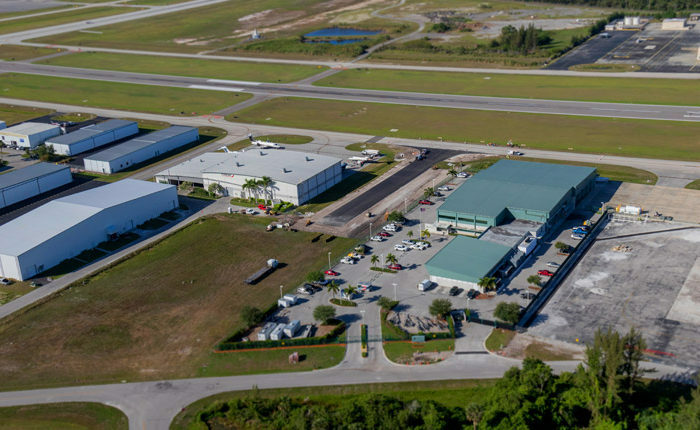 Valkaria Airport, General Aviation Terminal and Hangar Foxtrot – EG Solutions Inc.
EG Solutions Inc. was retained by Brevard County for the design, permitting and bidding of a new 9,900 s.f. General Aviation Terminal. This project is located adjacent to the existing aircraft parking apron. This facility includes the General Aviation Terminal building, dry hydrant connection to ponds for fire protection, and land-side parking as required by code. 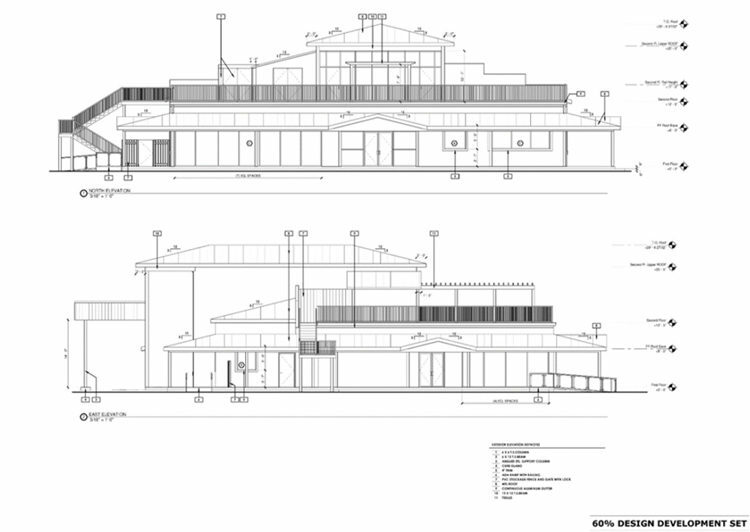 The assignment included establishing the building size and the geometric site layout of the General Aviation Terminal. 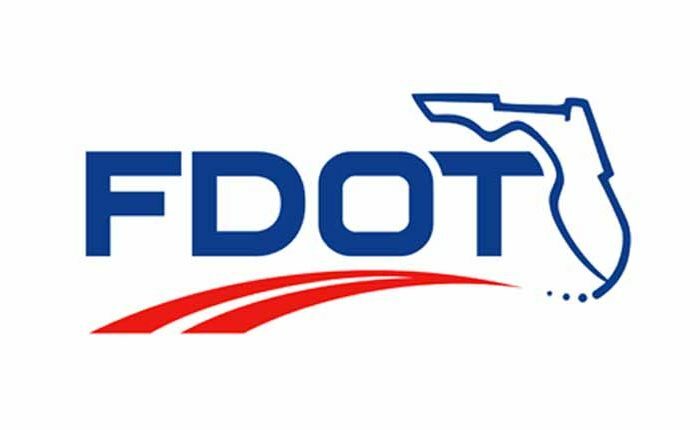 The building size reflects the guidance in the FDOT Guidebook for Airport Master Planning dated April 2010 and the ancillary functions the building would have. It was based in part on the approved forecast for the 20-year planning horizon approved by the FAA. 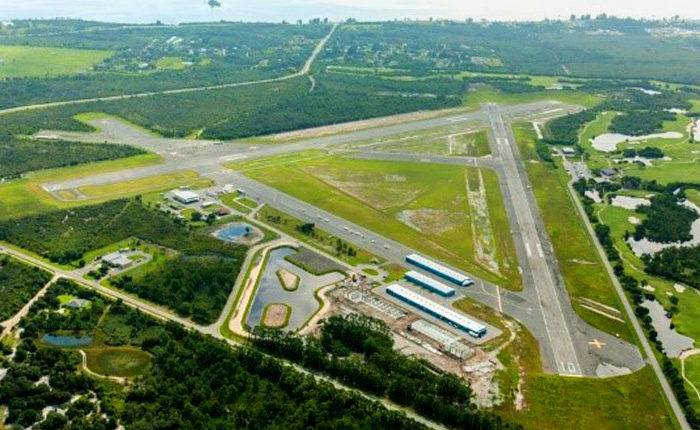 EG Solutions Inc. was also retained by Brevard County for the design, permitting and bidding of a new hangar complex. 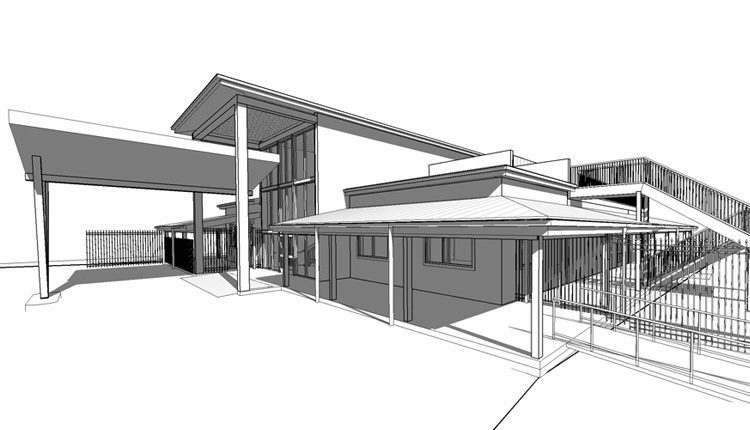 The project includes 20 nested T-hangars and 2 box hangars at the ends with sliding doors.